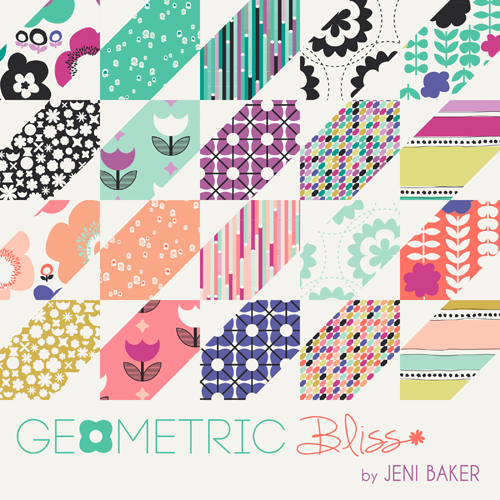 Quietly popping in today to share a sneak peek of my next fabric collection with Art Gallery Fabrics: Geometric Bliss! It will ship in September! I am in LOVE with those knits!!! Oh wow! Always so exciting to see what you come up with next!! Just beautiful! your are so talented. Just beautiful! Just my colours, Congratulations!! Just in time for my birthday! I know what is going straight to the top of my wish list! I'm adding this to my "must want" list! Lovely!! This is my fav line of yours so far, and I can't wait to see the knits! This is officially my favourite collection from you, Jeni! And those knits are to die for. Love these colors! Really fresh! Adorable collection Jeni! So wonderful colours! Oh wow! They are beautiful. Beautiful, colorful and oh so cheerful! ooh, i LOVE this line. geometrics are my fave. congrats! I haven't ever sewn with knit before, but I am loving the new prints from AG in knit. I want some pj's! New fabric looks so pretty, great work! I love this pattern! 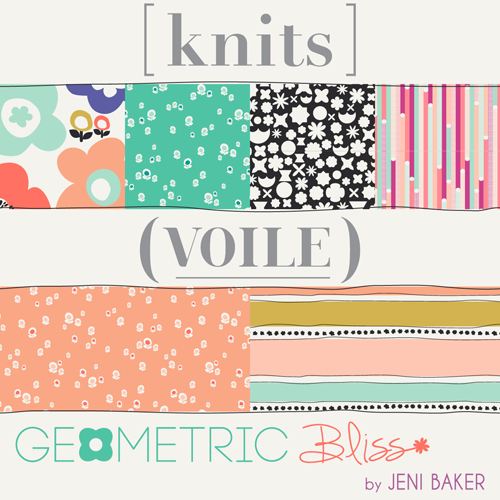 It should be a lot of fun to try it with knits!